There is a rideable connection, but it is legendarily unsafe. I know of two people who have done this, one from the top and one from the bottom, and both say they would not do it again. I believe you were heading the correct way. The reason this trail is said to be unsafe is that there is a backwoods community close to the end of the road. I’ve heard firsthand from two sources that this is an especially scary and unwelcoming area, a scrap of forgotten and paranoid inbred mountain folk straight out of Deliverance. One cyclist was supposedly chased by a rake-wielding hillbilly in camouflage coveralls, and both say they would not go through there again for fear of being chased and caught. Probably the legend has grown in the retelling, but caveat cyclist. Especially caveat transplanted city cyclist on custom bike with designer bibs and fancy camera. I turned around maybe half a mile from the connection because a major thunderstorm was brewing and I was on the top of a mountain, but yeah it was pretty creepy up there. I don’t know if I would have gone any further even if it was nice out. If I ever dare to ride this, I’d do it from the opposite direction so that I’m going downhill. 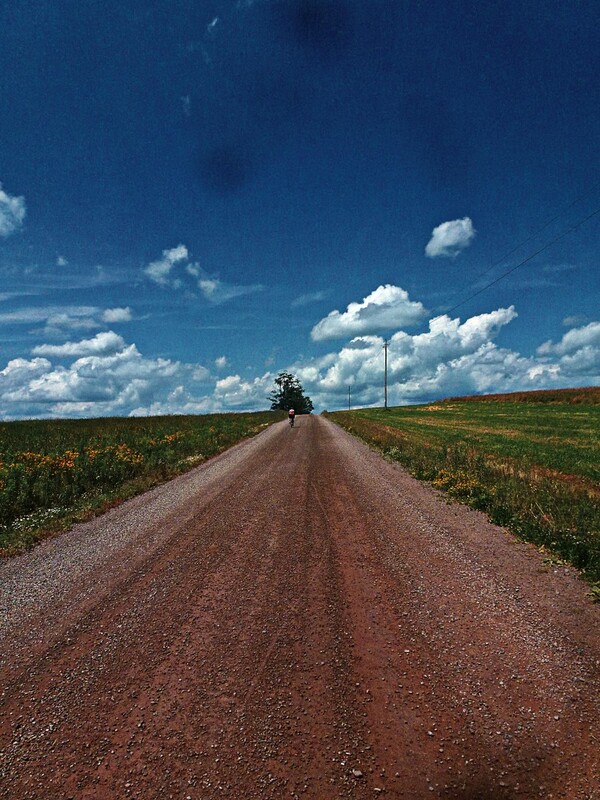 Getting chased by a “rake-wielding hillbilly” up a 15% gravel grade does not sound like fun. PS: I removed the names of the roads from this post so that it isn’t directly searchable. Even hillbillies have internet these days, and I don’t want to piss ’em off! This entry was posted in bicycles routes rides, catskills and tagged Catskills Cycling Bicycle Routes on July 14, 2013 by John Ferguson.